I’m sad to report that while My wife and I were on vacation, on Monday, our house was broken into. My gun locker was broken into and many of my guns were stolen. The real issue is that they stole several antique guns that were family heirlooms and cannot be replaced. The frustrating thing is that those guns aren’t useful to criminals and aren’t worth much money, but are of infinite sentimental value to me. Of course I have the “It’ll never happen to ME” syndrome and I don’t have serial numbers or pictures of all the guns, but I’m going to post a list of the guns and the serial numbers and pictures I have. During your travels at gun shows, flea markets and gun shops, please keep a lookout for any of these guns and if you see any of them, please let me know, or contact the Norfolk Police Department. The case number is 160815000129. Description/Notes: Blued barrel and receiver, blond (light colored) stocks. Inoperable: action does not cycle correctly causing shells to hang as they enter the chamber, also firing pin is worn and rarely hits the primer hard enough to fire shells. 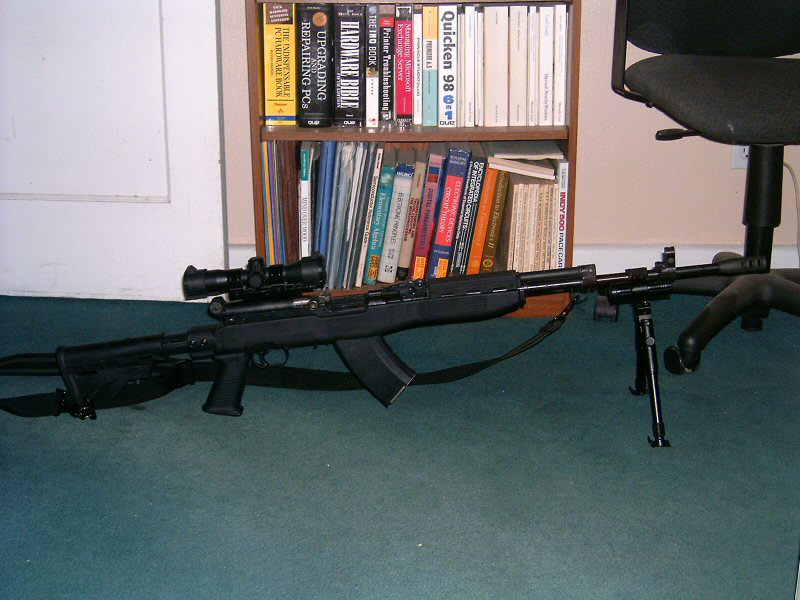 Description/Notes: blued barrel and receiver, dark wood stocks, many scratches and dings, well-used rifle. Description/Notes: WWII era Russian rifle. 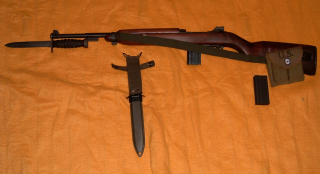 Blued barrel and receiver, dark wood stocks, folding bayonet. Description/Notes: Stainless steel slide and barrel, black composite frame. Operates but has a distinctive “hitch” when pulling the trigger. 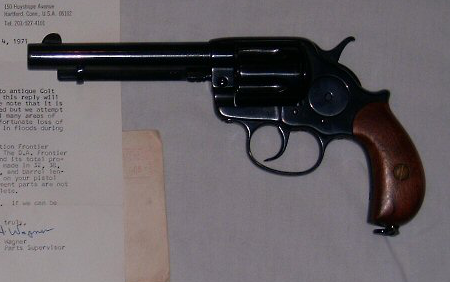 Description/Notes: This is a replica of a Remington 1858 Black Powder percussion cap revolver. Blued barrel and frame, dark wood stocks. 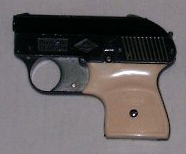 Description/Notes: This is a blank firing starter pistol, not an actual firearm, but has the appearance of a firearm. 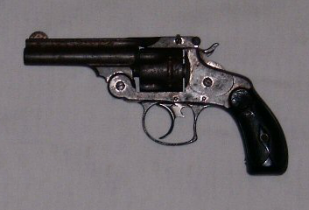 Description/Notes: This is a late 1800’s era revolver with a loading gate and shell ejection rod. It accepts black powder cartridges. Blued barrel and frame, dark wood stocks. Inoperable: The cylinder does not lock up so it has not been fired in over 20 years and would be unsafe to fire. Description/Notes: This is an early 1900’s era top break revolver that accepts black powder cartridges. The original finish is virtually gone and the gun is very rusty and pitted. Black plastic stocks. POSSIBLY Inoperable. Due to the condition, this gun hasn’t been fired in over 20 years. It would be difficult to find ammunition for, but may still fire. Description/Notes: WWII era military rifle. Internal fixed magazine fed with 8 round clips. Parkerized (dark gray) barrel and receiver with dark wood stocks and leather sling. Description/Notes: WWII era military rifle. Removable box magazine, parkerized (dark gray) barrel and receiver with dark wood stocks and canvas sling. Description/Notes: Highly modified Yugoslavian SKS. Removable box magazine, blued barrel and receiver, black composite stocks. 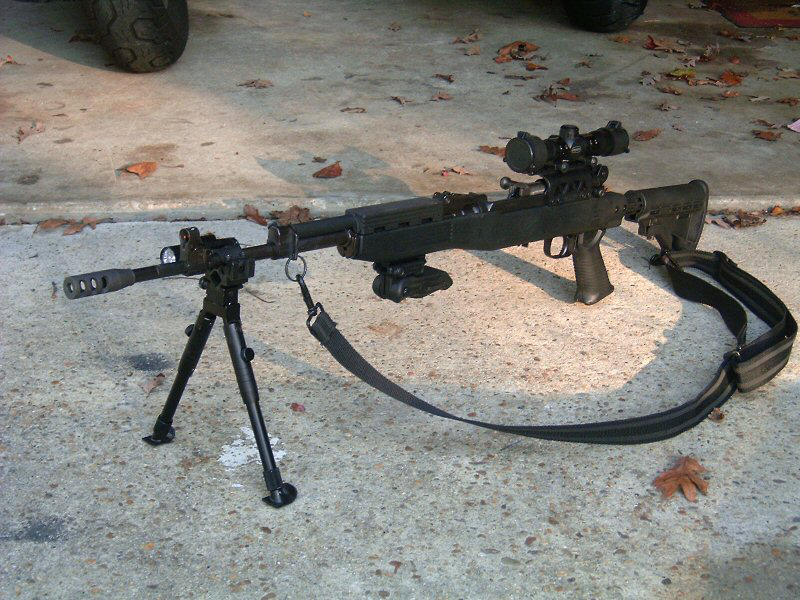 Folding vertical front grip, Bipod, Scope, flashlight, nylon 3 point sling. Description/Notes: Less than 2 years old, pristine condition. Stainless barrel and action, gray composite stocks. Variable power scope. Removable “rotary” box magazine. Description/Notes: A2 style National match Rifle. DPMS upper receiver, Stainless Steel heavy barrel, Anodized (black) aluminum upper and lower receiver with fixed carry handle, black stocks, Jewell brand match trigger, fixed buttstock with “US Navy Marksmanship Team” sticker on the side. Free float forestock, national match (1/4moa) rear sights, National match leather sling. Lead weights in buttstock for balance. 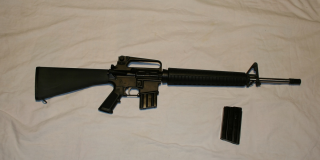 Description/Notes: M4 style rifle. Del-Ton upper receiver, blued 16” barrel, anodized (black) aluminum receivers, flat-top upper receiver with Aim-Point red dot sight attached to rail, Adjustable rear stock, canvas sling. This entry was posted in Misc by Sailorcurt. Bookmark the permalink. Sorry to hear that. Maybe you’ll get lucky & at least get the heirlooms back. Very sorry to hear of your loss. Hopefully they will be recovered or at least the miscreants caught and punished. This and the other “stolen gun” threads are just just the encouragement I needto go buy a quality gun SAFE and bolt that sucker to the ground. I’m really sorry to hear about this. The police have to have some idea of who’s behind the break in I hope? I hope you get your things back or at least can file an insurance claim.